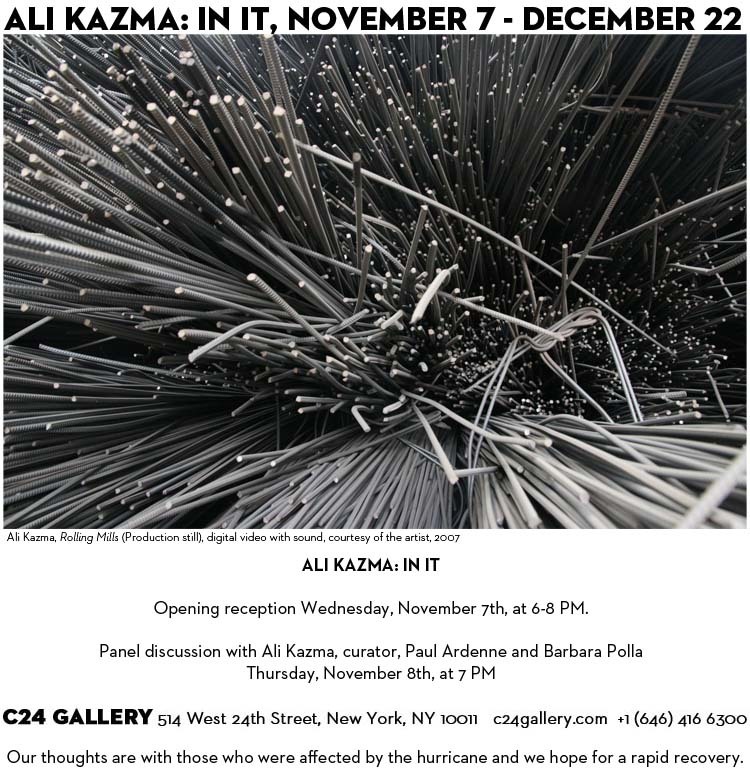 In It, Ali Kazma‘s Solo Show presented at Gallery C24 and curated by Paul Ardenne is opening this Wednesday, November 7th, 6-8 pm. An artist talk with Ali Kazma, Paul Ardenne and Barbara Polla will take place this Thursday, November 8th at 7 pm. A book published by C24 with writings by Paul Ardenne and an extended conversation between the curator, Barbara Polla and the artist will be available in conjunction with the exhibition.